Hi there, here’s a quick alternative card featuring the June 2018 Paper Pumpkin kit. 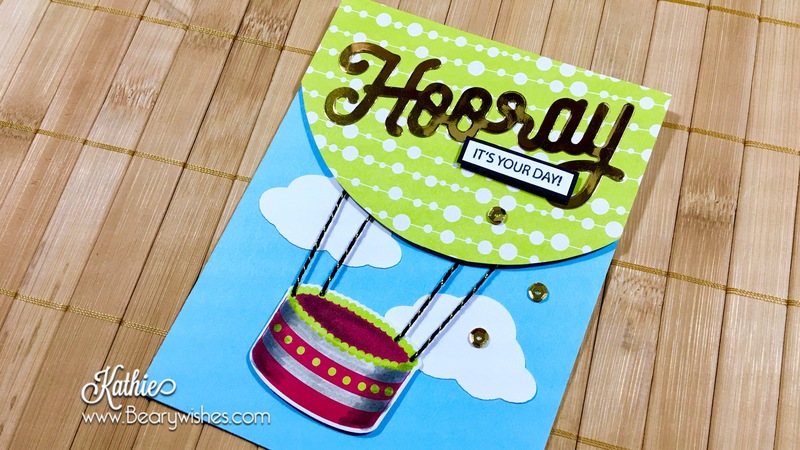 I used a large Kraft Peanut Button lid to create the ballon shape and trimmed it out. More details on it in the video. I used Balmy Blue card stock for the background and it really is a nice blue but I still miss Soft Sky and Wild Wasabi! LOL. 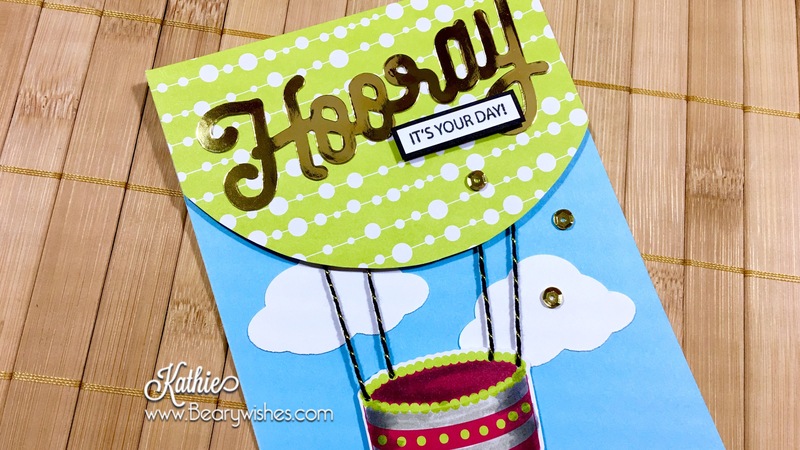 I then stuck down the Hooray sticker in a slight angle and the ‘its your day’ sentiment straight across the panel. The twine is cut at 2-1/2 and 3-1/2. I used a McGill poky stylus from back in the day to create the holes so I can slip the twine through and taped them down. Next I taped the other ends to the ballon. Making sure the twine is taut and the basket is at a slight angle. For the background, it needed something so I punched out a few clouds from the Tree Builder Punch (retired) but if you have a cloud die or hand draw your own will work. To tone down the bright pink on the cake, I used Smokey Slate and Sahara Sand Stampin’Write Marker.